I expected a tear. I did not expect that. 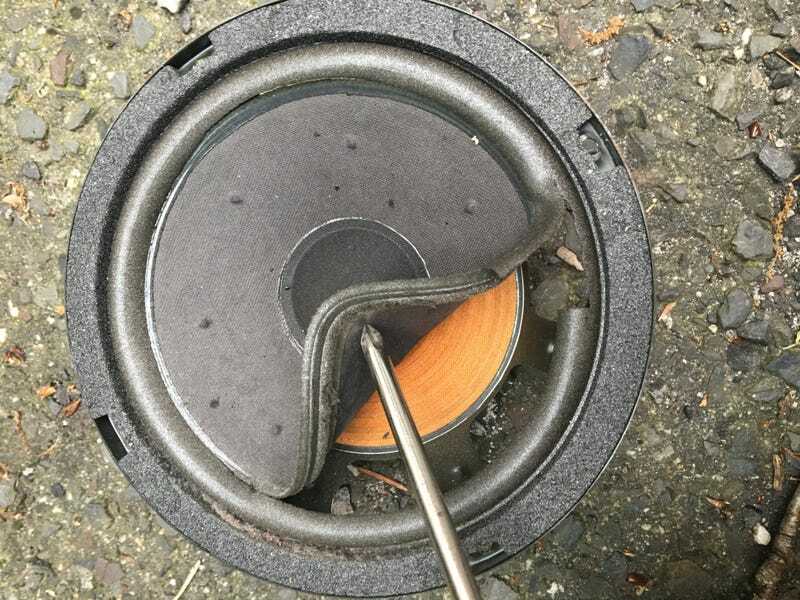 Sure, it sounded awful whenever there was any bass, but I’m actually sort of impressed that it didnt sound worse considering the speaker was in such bad shape. This also makes me shudder to think what condition the other three are in, especially since these are $60 shipped. Apparently the old one was Phillips and the new OEM one I received was PSS. Although they look exactly the same. As an aside, I am now a master at tearing down X308 doors. Maybe ten minutes elapsed from the moment I popped off the first screw cover to when I put it back on. Not bad considering it took me an hour and a half the first time I opened it up.